THE TRUTH ABOUT SUGAR & IT’S ALTERNATIVES? The role that refined sugar plays in our health is simple: it’s of zero value to us nutritionally. In order to understand sugar, you need to understand what it is made of. Sugar (the white stuff) is composed of two molecules, glucose and fructose. Glucose is found in nearly all carbohydrates and fructose is found in fruit and some vegetables. Ultimately, every cell in the body can make use of glucose, while the liver is the only organ that can metabolise fructose in significant amounts. A diet high in fructose will mean the liver becomes overloaded, and this means the fructose may be turned into fat. Thus, sugar should be enjoyed in moderation. This doesn’t mean you should stop eating fruit, as fruit is very good for you but please do be aware of the extra white stuff in your food, as it also sometimes hidden within labels. Confusingly, some foods that are considered healthy, such as fruit, also have high levels of sugar. This doesn’t mean you should fear the likes of fruit and vegetables; fruit contains lots of water, as well as essential vitamins and minerals. There are, however, a few instances where minimising fruit might be a good idea, including if you are diabetic. However, for otherwise healthy people, there is no proven reason to avoid natural, whole fruit. The harmful effects of excess fructose only arise from added sugars. They do not apply to moderate consumption of fruit and vegetables. There is countless research demonstrating that sugar, more than any other ingredient, may be driving some of the world’s most deadly conditions, including heart disease, diabetes and cancer. The National Diet and Nutrition survey in 2012 stated that average intakes of added sugar per day exceeded the recommendation of no more than 11% food energy for all age groups, with adults (12%) and children (15%). Unfortunately, people don’t appreciate how much sugar they’re actually eating as while they aren’t pouring 22 teaspoons of sugar into drinks, they’re getting it from heavily processed foods. So, what should we reach for instead and which alternatives should we stay clear of? Agave Syrup has been labeled as a healthy alternative due to its low glycemic index (GI). Generally, the higher the GI rating of a food, the greater the blood sugar spike. Regular sugar is typically 50% fructose but Agave can be as high as 90% fructose. While fructose won’t raise blood sugar levels in the short-term, it can contribute to insulin resistance. Therefore, Agave syrup should be avoided. Honey, unlike many others can still be obtained in its natural form. A typical batch of honey is 82% sugar by weight half of which is fructose, trace amounts of vitamins, minerals and various antioxidants. These antioxidants found more so in darker honeys than lighter ones are associated with improved health and lower risk of disease. However, the glucose and fructose content vary greatly with the different types of honey available to purchase. Manuka honey is beneficial not only for your taste buds, but also proclaims several health benefits. With this being said, it can be quite pricey and out of a lot of people’s budget. Maple syrup is different from refined sugar as it contains key minerals and antioxidants. 100 grams of maple syrup contains the following % of your reference nutrient intake (RNI); Calcium (6%), Potassium (6%), Zinc (28%), and Manganese (165%). However, Maple Syrup contains around 70% sucrose, which leaves the mineral content effectively irrelevant. In comparison to regular sugar, an identical amount of maple syrup will cut the total sugar content by a third. Xylitol is categorized as a sugar alcohol. Sugar alcohols have the ability to stimulate the sweet taste receptors on the tongue. While Xylitol can be found naturally in fruit and vegetables, it is largely processed as a refined sweetener. Xylitol, for example, is a common ingredient in sugar free chewing gums and unlike sugar, it contains no fructose and has insignificant effects on blood sugar. Stevia is a green, leafy plant known for its strong, sweet flavour, generally found in either powder or liquid form. Some suggest 1 teaspoon of Stevia extract powder can have a similar sweetening power as a whole cup of sugar. Taking stevioside (one of the sweet compounds in stevia) as a supplement can reduce blood pressure and help lower blood sugar levels. Being 100% natural with zero calories, Stevia is considered the healthiest of all sweeteners available. It is important to remember that sugar should be enjoyed in moderation. We do not need to label sugar as being ‘bad’, but just be mindful of the amounts we include in our everyday diet. Registered with the Association for Nutrition (AFN), Rhiannon obtained a first-class Bachelor (BSc) degree in Nutrition and Health and a Master’s (MSc) degree in Obesity, Risks and Prevention. She is also a Master Practitioner in Eating Disorders and Obesity having obtained a Diploma approved by The British Psychological Society (BPS) from The National Centre For Eating Disorders. 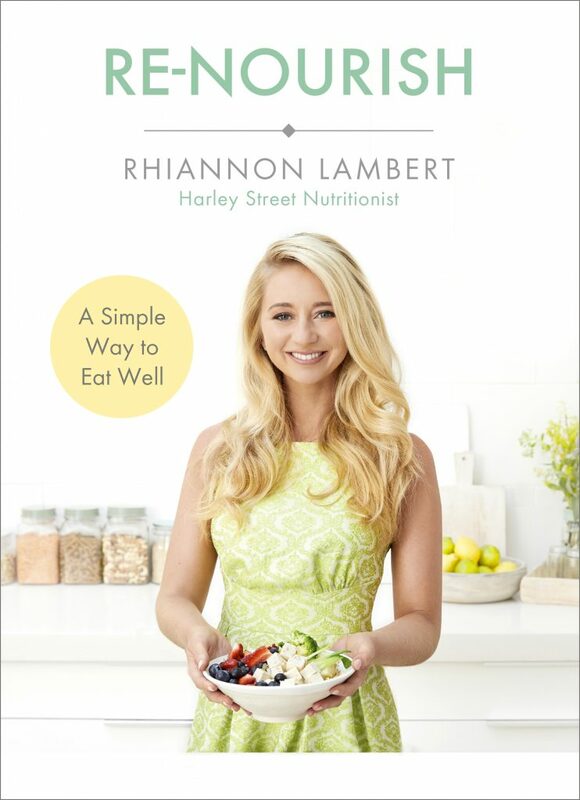 Her qualified approach to nutrition and total dedication to her clients’ needs has seen Rhiannon work with some of the world’s most influential people. Buy her book and find her social media channels and website below.